i) By default show by Map only (used to be Hybrid – Map + Satellite images). Why? Because it loads faster and the map is clearer. 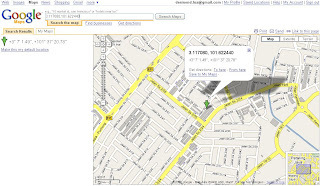 ii) Additional tab named “Google Map”, which allow to view this location on Google Maps Official Page. Why? So that you could use the Google Map Search to find other addresses, or merge with your other personal maps stored under My Maps tab (in Google Maps). 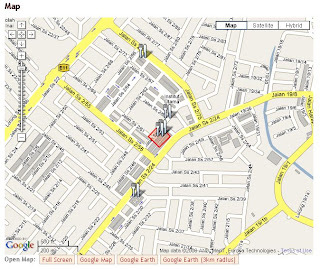 With this feature, it helps you to easily find the place, and also to spot other valuable food resources (click on the fork and spoon icon) in its surrounding areas.